Our bull pelts come from south-american free-living bulls. No animal had to die just because of its skin, the pelts are high-quality 'by-products' of the meat industry. 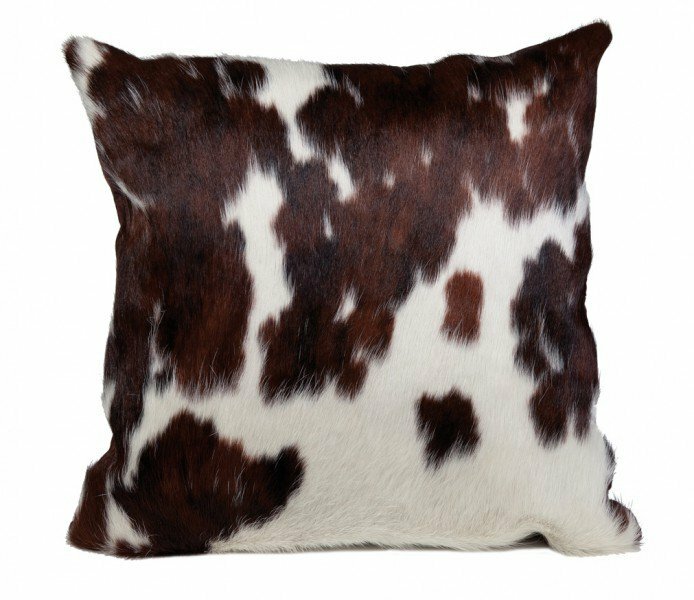 The top surface of the pillow case is made from bull pelt pieces (10x10cm/4x4in), the bottom part is underline with soft fleece. Pillow can me taken out. We offer free shipping to Austria and Germany on all orders above € 100! If you live in Austria or Germany we offer you to return unused items to our expence.